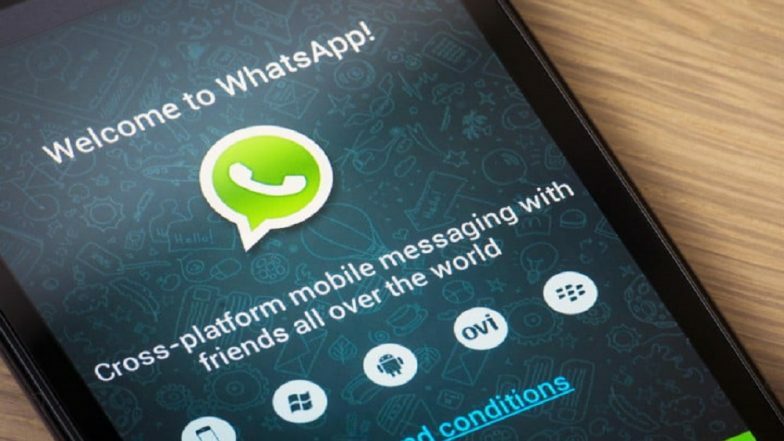 New Delhi, April 2: WhatsApp on Tuesday launched a service in India where over 200 million users in the country can tip off fake news, misinformation and rumours related to elections. Launched by PROTO, a media skilling start-up, the tipline will help create a database of rumours to study misinformation during elections for Checkpoint -- a research project commissioned by WhatsApp, the Facebook-owned company said in a statement. Facebook May Hire Journalists to Curb Fake News. People in India can submit misinformation or rumours to the "Checkpoint Tipline on WhatsApp" at +91-9643-000-888. Dig Deeper Media and Meedan, who have previously worked on misinformation-related projects around the world, are helping PROTO to develop the verification and research frameworks for India. "The goal of this project is to study the misinformation phenomenon at scale -- natively in WhatsApp," said PROTO's founders Ritvvij Parrikh and Nasr ul Hadi. When a WhatsApp user shares a suspicious message with the tipline, PROTO's verification centre will seek to respond and inform the user if the claim made in the message shared is verified or not. The response will indicate if information is classified as true, false, misleading, disputed or out of scope and include any other related information that is available. "The centre can review rumours in the form of pictures, video links or text and will cover four regional languages including Hindi, Telugu, Bengali and Malayalam, other than English," said WhatsApp. "The research from this initiative will help create a global benchmark for those wishing to tackle misinformation in their own markets," said Fergus Bell, Founder and CEO, Dig Deeper Media.